Whey is often used in fermented condiment recipes. Its role is as a starter culture because it is rich in lactic acid and lactic acid bacteria (or lactobacilli). Some people use it so they can use less salt in their recipes. When I mention whey many people ask me what I mean as they have only heard of it as whey protein powder or featuring in a nursery rhyme as ‘curds and whey’. Opps! Despite the picture it is best not to use Greek style yoghurt, as some of the whey has already been removed to make it thicker. I always use the green pot of Yeo Valley. Waitrose also do a nice organic one. Place the strainer on top of the bowl and line it with the muslin cloth. Pour in the yoghurt and let it stand, covered, for several hours. 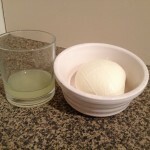 The liquid whey will separate and drip into the bowl, leaving the milk solids behind. 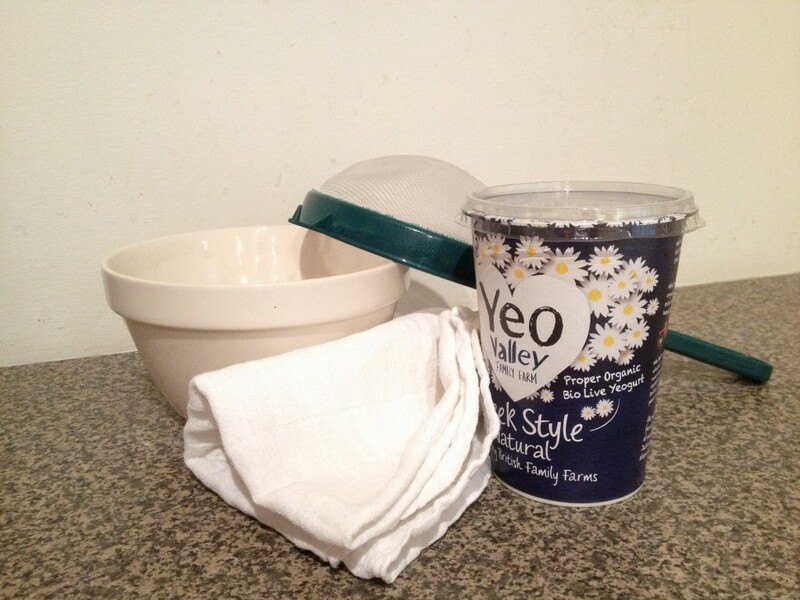 Tie up the muslin cloth with the milk solids inside and tie the bundle to a wooden spoon or a cupboard door so that more whey can drip out into the bowl below. When the bag stops dripping both the whey and the cream cheese left behind are ready. Store in the refrigerator in sealed glass jars; whey will last for about 6 months and the cream cheese for about 1 month. 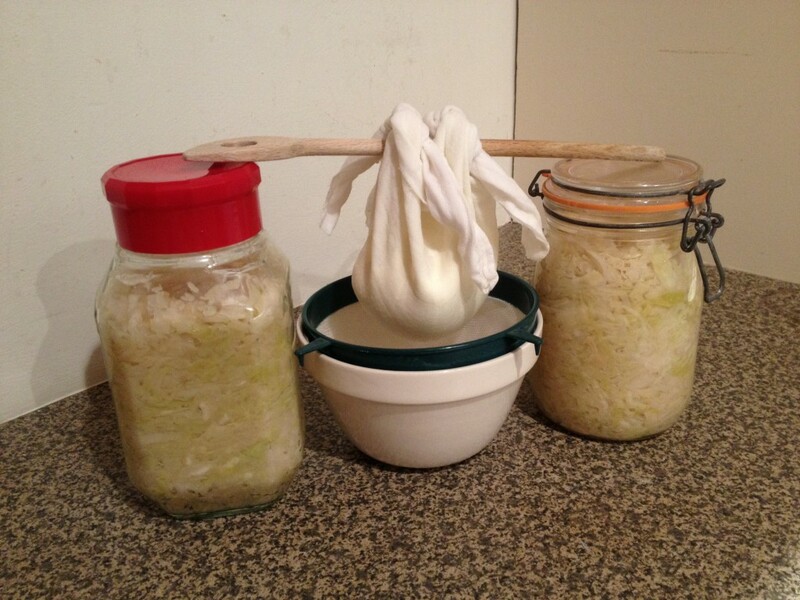 This entry was posted in Front Page, Uncategorized and tagged Fermentation, Recipes, Whey. Bookmark the permalink. 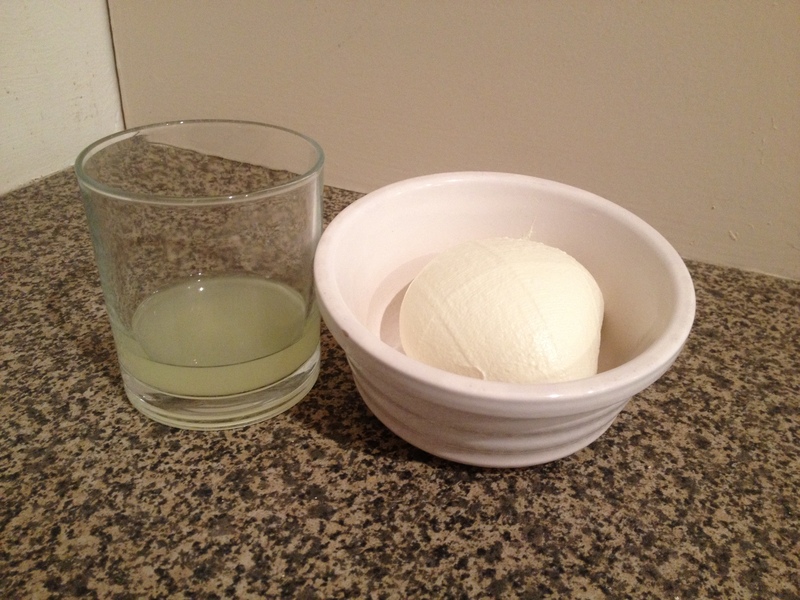 Pingback: A cocktail with organic whey, the tart, lactobacilli -rich part of yoghurt.